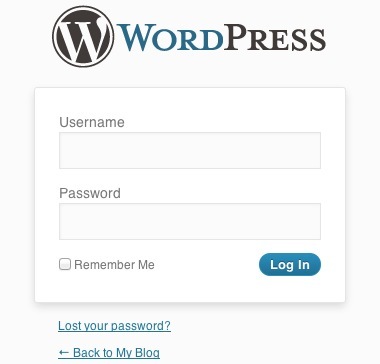 With an install of WordPress on your account, you may want to let people know about updates in your life or news that is happening to your business. Making a post can help you be able to do that. 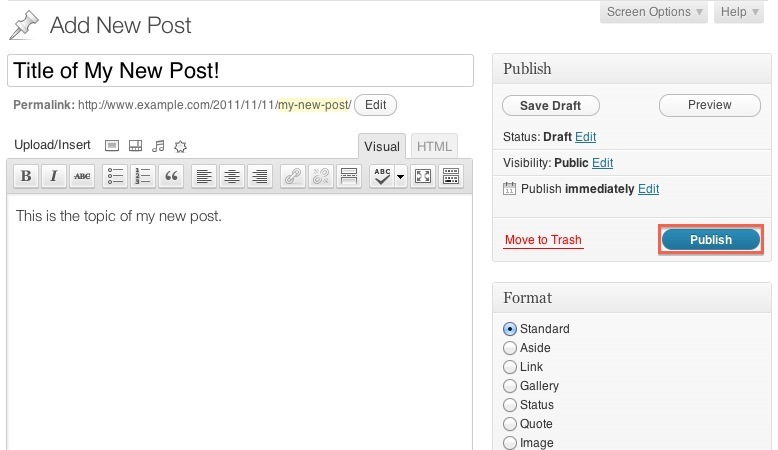 This tutorial will be a guide on how to make a simple post for a site. 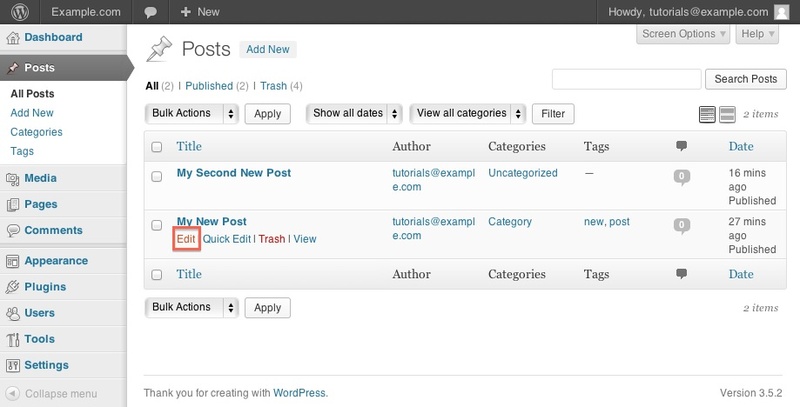 To get started you would need to login to the WordPress Dashboard. 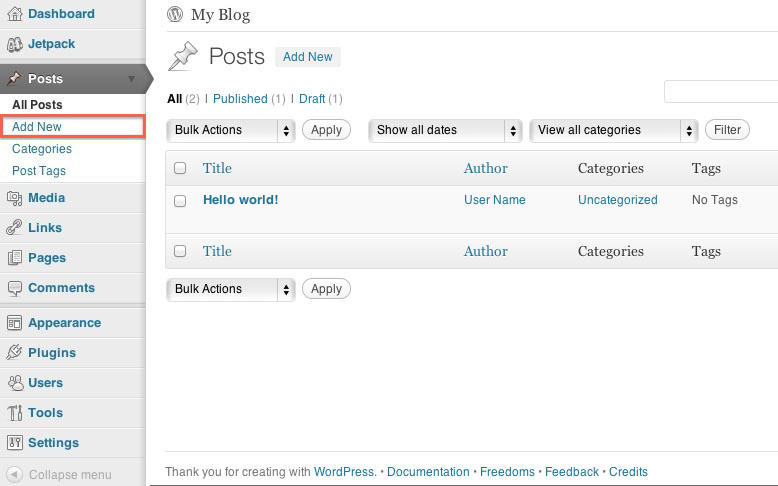 Login to the WordPress Dashboard by visiting the blog, and adding wp-admin to the end of the URL. 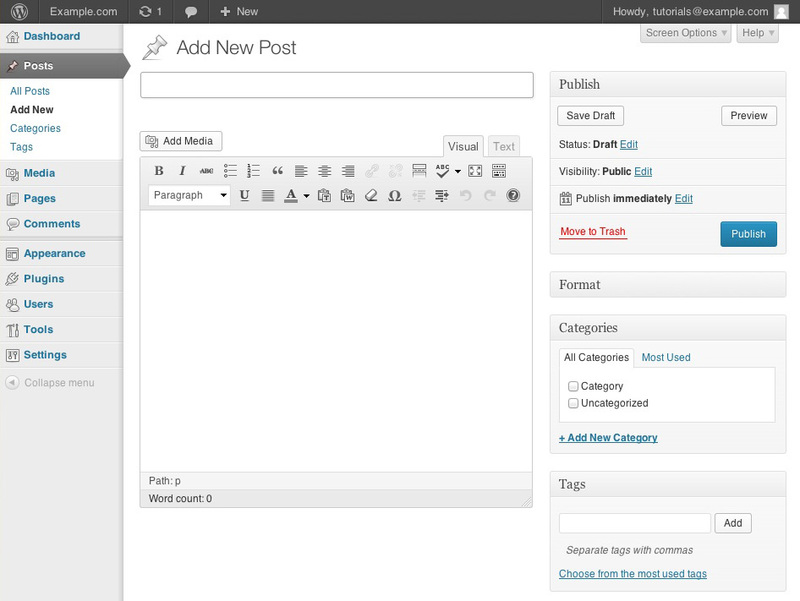 On the left, you will see a menu with options for Posts. Click Add New. This is the interface used to compose the post. HTML code can be inserted. Media files can also be added. This works similar to most word processing programs. 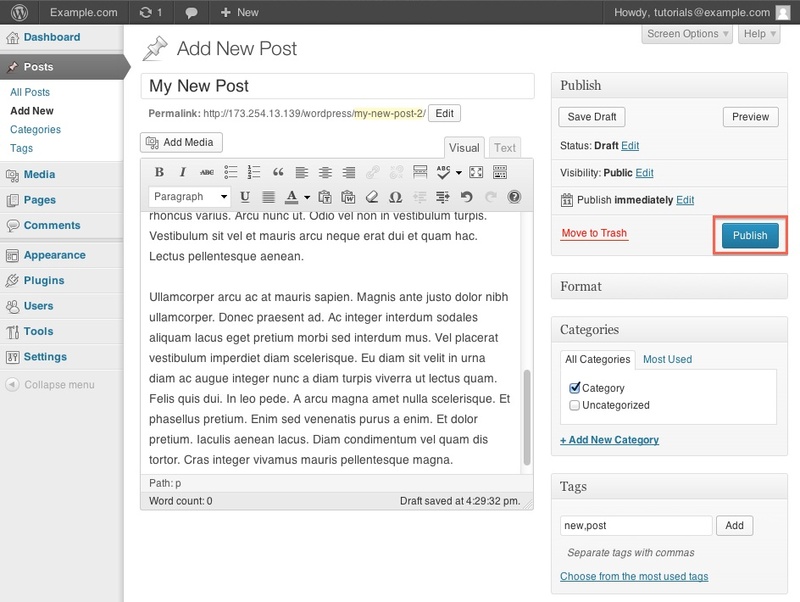 It allows to bold, italicize, set alignment, add links, etc. To insert images click Add Media. Once you have uploaded the image you can place it where you want in the post. Comments are not able to be disabled from in here by default. What theme and/or plugin you install will give that option. Selecting the Category that you would like to have it associated with will help with organizing. 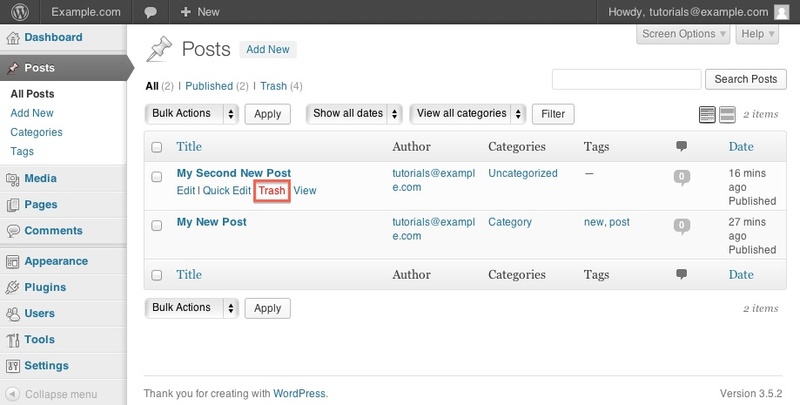 Adding Tags will help with searching for the article and relating other articles. When the post has been composed, click the Publish button. 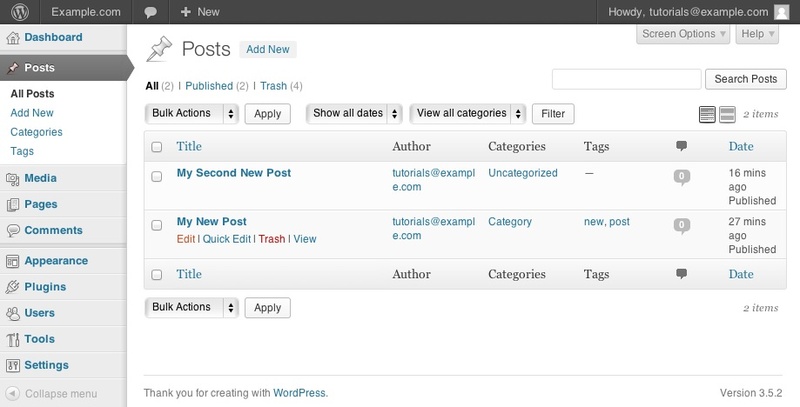 Your WordPress post has now been published. So, you have made a post and need to edit something in to make it more relavent or there is a spelling mistake you need to fix. Editing the post will save your life, or at least save your posst. On the WordPress Dashboard click All Posts under Posts. This will list all the posts that have been made, whether published or drafts. In the search field at the top right-hand corner you can type in the post you would like to remove or you can scroll through your posts. Mouse over the post that you need to edit and click Edit when it appears. This will open the editor for the post. Sometime a post is too old or you just do not like it anymore. You will need to remove the post. Mouse over the Post and click Trash.